Vancouver is one of the most multicultural cities in Canada with 52% of its population speaking a first language other than English. It is also the most densely populated area of Canada. Despite the large population and relatively small area, Vancouver is consistently voted as one of the top five cities on the planet for quality of life. There are many things to see and do in Vancouver, its proximity to the ocean gives you the opportunity to try a number of water based outdoor sports as well as more relaxed harbour cruises. Within the city there can also be found a wide and varied range of activities. Take a horse drawn carriage ride through Stanley Park; see the Dr. Sun Yat-Sen Classical Chinese Garden; take a trip to the Vancouver Aquarium or visit Science World or the Vancouver Art Gallery. 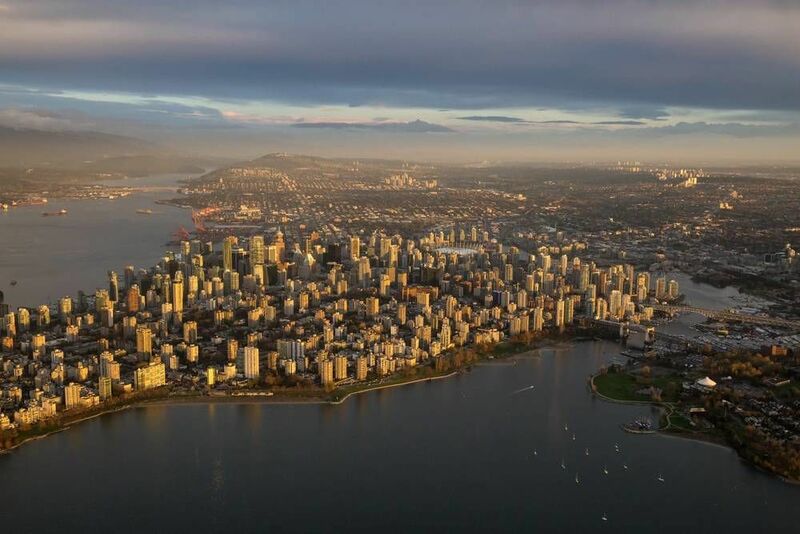 Climb the Vancouver Lookout, at a height of 130 metres you can get great views of the city from this landmark. If you like your views of the city a little more natural, just fifteen minutes outside the city you can find Grouse Mountain, giving you fantastic views of the whole city and the ocean. Take a break from the city centre and spend some time in the wilderness with only the bears for company! Not much of a mountain climber, no worries, a cable car system whisks you straight to the top! Vancouver is home to Canada’s largest Chinatown district and this tour will take you on foot through the heart of it. This two-hour tour will also take you through some of the city’s oldest parts, taking in the Vancouver Public Library as well as learning the history of the city. Taking in sites around the areas the title suggests you’ll see the Vancouver Art Gallery, famous buildings, Vancouver’s oldest church, public art as well as being given the chance to sample some of the city’s famous street food. From its beginnings as an industrial area to becoming one of the most visited attractions in Canada this tour will tell you everything you need to know about Granville Island and take you to all the places you need to see. Explore the art, culture and food and hear about the history of the area in one sixty-minute tour. Below you can find more popular (but not free) activities and tours in Vancouver. Are you from Vancouver and want to be a tour guide? Please get in touch by submitting your details on this page!